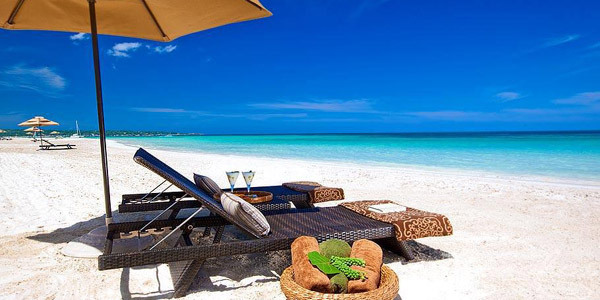 For years, Negril's beach has been rated as one of the top ten beaches in the world by many travel magazines. The north end of the beach is home to the large all-inclusive resorts, and to the south are the smaller, family-run hotels. This combination gives the Negril area a large variety of rooms, services and prices. Negril is still fairly underdeveloped remains a significant factor in its undoubted charm. This may not last, as a new highway from Montego Bay and an improved infrastructure may bring more tourists. In recent years it has also become a popular location for U.S. college students to visit during spring break. The larger hotels such as Hedonism II, Couples, Riu Resort, Sandals, Breezes, and Grand Lido, as well as some smaller hotels offer "au naturel" bathing areas, which has made Hedonism II particularly the most revisited resort in the Caribbean, if not the world. Negril is a large beach resort town located across parts of two Jamaican parishes, Westmoreland and Hanover. Westmoreland is the westernmost parish in Jamaica, located on the south side of the island. Downtown Negril, the West End cliff resorts to the south of downtown, and the southern portion of the seven mile (11 km) beach are in Westmoreland. The northernmost resorts on the beach are actually located in Hanover. Both parishes are part of the county of Cornwall. The nearest large town and capital of Westmoreland is Savanna-la-Mar. 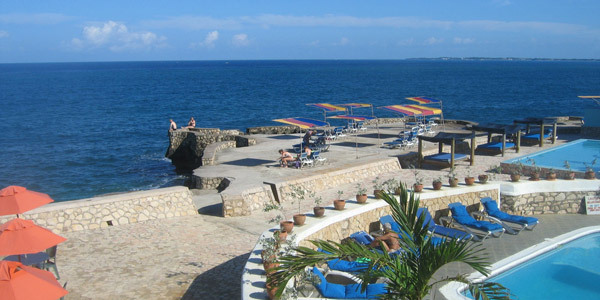 South of downtown Negril is West End Road, known as the cliff area, which is lined with resorts that offer more privacy. These areas offer easy access to waters good for snorkeling and diving, with jumping points reaching more than 40 feet (12 m) high. Rick's Cafe is a place to watch the cliff jumpers. Rick's is considered one of the 1,000 places to go before you die. Although most of Rick's was destroyed, and slid into the ocean in the hurricane of 2003, it has been rebuilt rock sturdy. Its sunsets are still some of the best in the world. The Negril cliff resorts offer another option to the more common beach resorts. Two different vacation styles, on the beach you can enjoy alot more popular activites like jet ski rentals, parasailing, banana boat rides, glass bottom boat adventures, or simply lounge yourself in the calm crystal clear waters. Cliff resorts offer more privacy. Snorkeling off the 30-40 foot cliff is something everyone needs to try atleast once. 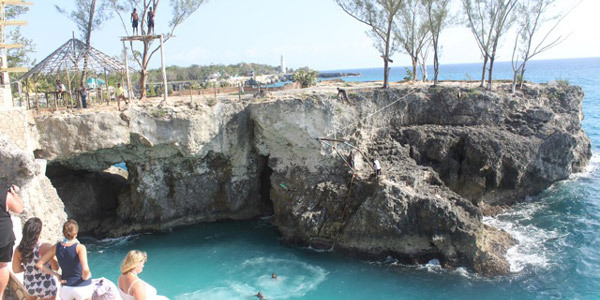 Many return travellers to Negril opt for a split experience, one week on the beach and one week on the cliffs. This is the best way to get the full Negril experience.